Buy you dream Haibike E-Bike before the 1st of August and miss the 10% price increase due to poor exchange rates. Last few remaining 2015 Haibikes left all at amazing prices. Hurry as they are nearly all sold! Cube Bikes 2016 in Store Now! 2016 Cube bikes have now arrived. They have some awesome new bikes which include their Attain Road race bikes and their new electric bikes with Bosch CX performance motors. Get in touch if you require any more info. Scott 2016 Bikes now in store! 2016 Scott bikes have now arrived in store. Be the first to own your new Scott bike. Scott have produced a new Carbon Race bike called the foil which has had a complete make over and watch out for their new CX Bike. Cube are launching their 2015 bikes now with a selection of their bikes like the Cube Attention, Analogue,& aim models. If you want to order yours now to be the first to have one please phone the store for more details. Scott Bikes 2015 now arriving. Take a look at the new models first on our website. Check out the mighty Scott Gambler or the Scott Solace. We are now stocking the latest Bikes from Cube.This German brand have bikes to suit everyone from Road Bikes,Mountain Bikes,Hybrid's, and even electric bikes. Go check them out. Cube 2015 bikes arriving in store shortly. Damian Harris Cycles is now the only Specialist Electric Bike Centre in wales.  We carry all the latest E-Bikes in stock with the very powerful Bosh and Panasonic motors. We have many Demo bikes available from KTM,Wisper,and Cube so why not come on down and try before you buy. De Rosa bikes now available at D.H.C. Damian Harris Cycles are now stocking De Rosa for 2014.De Rosa has been producing some of the finest handbuilt road race machines from it's workshop in Milan since 1953.This small company is proud to make such fine racing frames in all four frame materials; steel,titanium,aluminium and carbon and has over the years has supplied numerous pros including the famous Eddy MerckX. Here you have the best road bike for £1000.00 the new 2014 Scott Speedster 20.Scott have made this years bike with the same geometry as their mighty CR1 which is super comfortable and perfect for the rider who wants to ride all day.The speedster comes with Shimano 105 finishing kit for silky smooth shifting also for 2014 their is a 30 speed triple option.We have the 2013 model on offer only £799 while stock lasts. KTM have made a top end Hybrid which is super lightweight with some amazing kit for the money including magura hydro brakes and XT finishing kit.Go check it out! Christmas is coming we have many bikes suitable for all ages.Just a 10% deposit secures any bike for the Christmas.You can keep them here in store until December 15th. Scott Addict 2014 now in store. The 2014 Scott Addict is in store now.Scott have re-launched their top end ultra light weight road race machine weighing only 6kg.Scott have yet again produced the lightest frameset ever built. Scott have designed the Solace to be comfortable without sacrificing stiffness.This Bike is for riders who spend many hours in the saddle and want the comfort without the disadvantages.Come on in we have test bikes available. The 2014 KTM Partnerbook is a massive catalogue of their latest bikes, frames and riding technology. Published in one interactive, online document and written in English, French, Spanish, German, Portuguese and Italian. Scott Have just one Hardtail of the year with the new Scott Scale 960 29er coming with a 10/10 rating from MBR.Hurry as numbers are very limited.This Scott Bike had some stiff competion with many brands such as giant and Cannondale but still came out on top. At last we have a wide selection of Brompton Bikes in stock with no waiting time.We have 3 & 6 speed available in both M-type and S-type.The colours are either in black or colbalt blue.Order yours now to avoid disapointment. This Week's best seller was the new Daws Duchess Green Leaf.Daws have made a real classic ladies bike with a low step through frame 6 speed gears and a wicker basket all for only £314.00.As the weather is changing this bike is perfect for the spring so why not treat yourself. Scott Addict Carbon race bike has been re-launched for 2013 Go check what they say about this awesome road bike on bike raider. Scott now making their new Spark & Scott Scale in 650B wheel size. Bike fitting now available in store. Why not have your new or existing bike professionaly bike fitted which will make your cycling a lot more comfortable.We are one of the only cycle shops in cardiff to provide this service.Please contact us for further details.Every road bike sold comes with a free bike fit. Why not have your new or your existing bike professionaly bike fitted which will make your cycling a lot more comfortable.We are one of the only cycle shops in cardiff to provide this service.Please contact us for further details.Every road bike sold comes with a free bike fit. Lightweight aluminium kids' bikes, a colourfull range including balance bikes, a junior mountain bike and hybrid bikes for 2 to 14 year olds.Much cheaper and lighter than the isla childs bike brand.These have to be the lightest kids bikes on the market today.and a big added bonus they are British made. Take a look at one of the most talked about and reviewed Mekk Road bike brand for 2013. Mekk have made some bargain priced carbon and alloy road bikes starting from £500.00.This British based company are making top quality Carbon Road Bikes with full ultegra and Di2 systems from only £1200.00 go grab a bargain. The Mekk Primo race fit features an aero optimised frameset, with full internal cable routing and Di2 compatibility. Under the skin we only use the finest grade of Japanese carbon fibre. The construction and lay-up has been refined by our engineering team and prototyped and tested from within our own production facility. Up front the aero bladed fork has an all carbon tapered 1.25 to 1.5 inch steerer. In testing its proven both stiffer and lighter than a standard composite alloy fork found on the competition. The Primos race honed geometry and aero profiles make it the ideal companion for the competitive rider. Its designed to be bullet fast with no compromises. Check out the new 2013 KTM electric bikes with Bosch and panasonic compact rear hub systems.These electric bikes are perfect for all types of cycling like commuting to actual off road mountain biking.Demo models are available so come on down and try one out! Daws had their 2013 product launch and what a launch, especially their 2013 Galaxy range starting at only £599.00.They have re- named all of their touring range with the new Galaxy logo and even now come with disk brakes as standard . 2013 Scott Bikes arriving Soon! 2013 Scott bikes are arriving soon. Pre-order the all new Scott Genius & Scott Gambler go check them out! Hurry!! Grab A GT Avalanche 1.2.3,or 4 with up to 25% off only single digit numbers are left!! Mongoose have done it again with is Tyax Comp & their is £100.00 off go grab a bargain!!! Daws Galaxy Touring Bikes now and Save up to 35% off .Which includes Daws Galaxy ,Super Galaxy,Ultra Galaxy,& Daws Horizon Ring the store now this offer is very limited!! We are able to take halfords cycle to work vouchers,you could save up to 50% off your next dream bike.Also come along with your voucher & receive a free bell helmet worth £39. Part time sales/ fitter required. Part time fitter/sales person required to work on tuesday & Wednesday apply by email or ring cardiff 02920 529955.Must have retail experience and good telephone manner. The Brompton H-Type is the new folding bike addition to the range for 2012. Providing a markedly more upright riding position (it has the highest grip height of the four options at 1072mm), the H Type is for those who like to travel with unhurried style, taking in the journey along the way. Daws Ladies & Gents Electric Bikes available Now !! Dawes Ladies & Gents Electric Bikes available now !! Boost Your lifestyle with our new electric bikes from Dawes.Our Boost e-bikes can be the perfect leisure and transport aid.Once again the joys of cycling can be rediscovered by providing power assistance so you can increase your distance and no longer fear those dreaded hills.The Lithium battery and 250 watt brushless motor works with you to make your journeyless daunting and the handy throttle helps you pull away from junctions at a brisker pace or give you that extra help when the terrain gets more trickey .The smooth pedal assistance will give you a gentle boost up to 15mph. Montague Swiss Full Sized Folding Bikes Now In Stock! We are full-size folding bikes.All Montague folding bikes are designed to ride as well as, if not better than, comparable non-folding bikes. During the design process, we focus on perfecting ride quality, handling, and comfort. We believe you shouldn't have to sacrifice any of these crucial components even if the bike does fold to fit in the trunk. Each Montague folding bicycle goes from full size to completely folded in under 20 seconds. Simply pop the front wheel off and open the frame quick release to fold the bike. No tools, no complicated instructions. This isn't about origami, it's about folding your bike in a flash to catch the bus or train.These have to be the best folding full sized bikes on the market .Try one for yourself!! NS Bikes 2012 now in stock!!! NS Bikes have come up with some awsome bikes for 2012 go check them out,Check their new freeride range. All the Classic GT models which include the mighty Force & the GT Avalanche 3.0,2.0 1.0 are all up to 35% 0ff RRP !! Scott Scale 20,Scott CR1 Pro,Scott Aspect 30, & The Voltage range are some of the last bikes remaining in our Mega end of season sale !! JD Bug scooters now in stock from 39.99.Hurry as they are selling very fast the must have christmass present.JD pro series seem to be the most popular. Eastern Bmx Bikes are selling very quickly the only last few remaining - Eastern Nitrous Piston,Nitrous Battery, & The Eastern NightWasp,Grab one while you can. Dont miss out on these fantastic deals on 2011 Mongoose Mountain Bikes.Once their gone their gone!!!! We The People, one of the most popular BMX brands in the UK today has launched it`s 2012 range, which is now available both online and in-store.Pre-order yours now!! Best seller WTP Justice. Scott Bikes 2012 in store soon!! Pre-order your new 2012 scott spark & Scott Spark 29r now!!! Moda Designed by cyclists for cyclists o suit British conditions, riders and events, and assembled right here in the UK by race proven mechanics, Moda bikes use the best componentry available and is the only manufacturer to offer American Classics high performance wheelsets across its entire range. Every model in the Moda range offers excellent value for money and outstanding performance, with component specifications that stand apart from the norm and strikingly bold designs with very high levels of finish. The Moda range is designed to cover the full spectrum of UK road riding/700c wheel disciplines - from track, through cyclocross, to road racing, sportives and fast commuting. All Scott Bikes 2011 in stock now !!! Scott Genius, Spark, the New Scott Scale 29 Range, Voltage, Scale, Aspect & CR1 Comp, Scott Cr1 Pro, Cr1 Team & Addict 2011 Scott bikes are all on display. We will not be beaten on price. GT Fly BMX, Mongoose Culture,Mongoose Logo Bmx Bike, We The People, Trust, Justice, Arcade & Zodiac BMX bikes are selling very fast for the Christmas season. Massive savings on all 2010-2011 scott bikes hurry while stocks last! which include Scott Scale Addict Genius Spark and CR1 Addict road bikes.Best Winter Road Bike has to be the all new Scott Speedster S30 2011 with mudguard eyelets. NS Bikes (2011) are arriving late november,Pre-order your's now for Christmas !!! Models to look out for Holy 1, and the Holy 2. The Metropolis 1, 2 and 3! WeThePeople are constantly innovating and their new range raises the bar. BMX bikes of note include the WTP Justice, WeThePeople Reason and WTP Arcade. Next up are Mongoose BMX, represented at the highest levels of professional BMX competition by the likes of Australia's Steve McCann, who rides the Mongoose Fraction. Last and by no means least are GT bicyces, paying special attention to the GT Fly this season, a bike that we predict will be in high demand. This BMX is notably strong, very light and generally considered to be indestructable! We have recently updated our home-page with a new-look and improved layout. Over the coming months we are adding more improvements to help you find the best bicycles at the best price. We are always getting feedback from customers and visitors, and if you would like to get in touch to make a suggestion, please do so via the contact page.